This Self-Directed Driving Tour Leads You to Over 40 Artisan Destinations in Hendricks, Morgan and Putnam Counties. Find the perfect piece of art, take a hands-on class, and enjoy great food along the Rural Routes to Main Street Cultural Trail, just west of Indianapolis. With locations open Thursday through Saturday, 11:00 a.m. to 5:00 p.m. - and many open additional hours throughout the week, you can explore the trail for a day, weekend or an entire vacation. 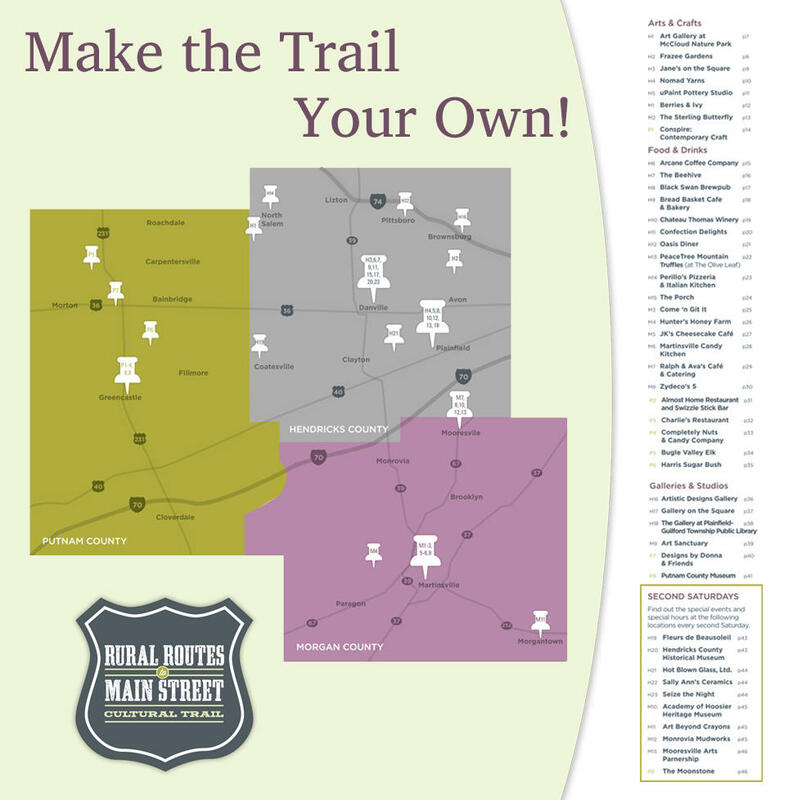 The Rural Routes to Main Street Cultural Trail is a partnership between Visit Hendricks County, Visit Morgan County, and the Putnam County Visitor Bureau.